No matter how busy you are, you should try to sit down for a meal together. There’s an ongoing debate out there about work-life balance. Is it real? Or is it a lie? Is there a such thing as real work-life balance? Or are we relegated to accept that the only real solution here is work-life blend or integration? I’ve focused more and more on these questions over the last several years as my business and family continue to grow. In the last few years, I’ve added new clients to a business that already had clients, and I’ve added new kids to a family that already had kids. Through all of that, I’ve worked hard to find ways to keep some semblance of work-life balance. Then I stumbled onto something unexpected – for me, at least – about something as ordinary as the family dinner. There’s a significant amount of research out there about the positive impact the family dinner has on kids. Many of us know the research. Benefits range from better cognitive and speech capabilities in little ones to better grades and significantly reduced chances of getting involved in drugs for older kids. So why might so many of us have such a hard time making time for it? Our work seems to keep us going longer than ever these days, and the global nature of business has us doing work and taking calls at times that bleed into other things that used to be sacred. In addition, companies these days aren’t exactly built with a huge amount of fat or fluff, which has most of us using the business one liner of our era, regularly saying that “we’ve got to do more with less.” That often equates to more hours for more people. On top of that, technology accessibility for both parents and kids adds another distraction that too easily pulls us away from getting together to just eat and talk. Given all of that, you might think that the family dinner is dead on arrival. It turns out that nothing could be further from the truth. 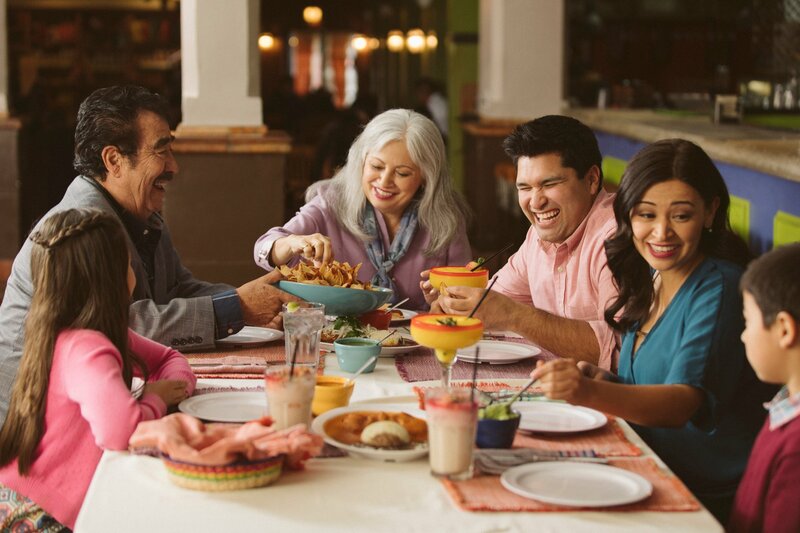 In a recent article from The Washington Post that cited a study by the Corporation for National and Community Service, 88% of Americans said that they frequently ate dinner with their family, and this was consistent across almost every state. That’s good news for kids, but what does that have to do with work-life balance? I’m embarrassed to admit that I’ve been part of the 12% of families who didn’t frequently eat dinner together. I had lots of excuses. I was the sole financial provider for the house. I ran a business. On top of being an entrepreneur to a new and growing business, my wife and I had four kids of such different ages that there was no way we could get everyone together at the same time regularly for dinner. That’s what I told myself. Even though I had a successful business and good kids who were all doing well, there was just something missing, though. We decided it was time to re-institute the family dinner. The results we got for the kids were predictable and in line with the research said. Even though I love my job, some of my work days are kind of crazy. Who’s aren’t? Before we reinstituted the family dinner, it was easy to just let that craziness continue until it was done – whenever that was. Once we put the family dinners back in place, I had an anchor point built into every day that took me out of the craziness and put me back into the family. That anchor point made me feel balanced because I knew I couldn’t get too far away from the life side of the work-life balance equation. It served as a daily work-life balance grounding point. It also allowed me to shut time off from anything other than the family dinner at that time. It would have been just a little ridiculous to have instituted the family dinner but kept my cell phone next to me for calls while at the table. The family dinner became an excuse to create a buffer and really focus just on family, which made me feel balanced. I wasn’t distracted. I wasn’t trying to multi-task. I had a boundary of family time around the dinner. It became an impenetrable bubble. Most days, my family time isn’t limited to a mere hour for a family dinner. But on those crazy days where it is, it has turned out to be an unexpected way to give me just a little more work-life balance. It wasn’t just the kids that got something great out of it.